After touching down in San José, most visitors to Costa Rica head off to explore the beaches, the rainforest, or the cloud forests. They make the mistake of not exploring the Central Valley that surrounds San José. 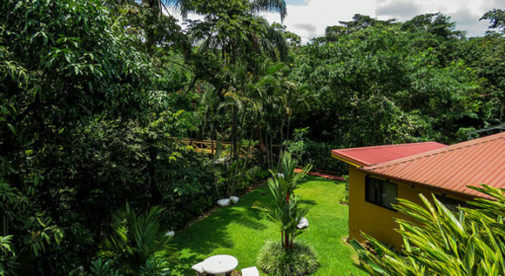 This is where most expats in Costa Rica reside. It’s also home to some of Costa Rica’s ﬁnest hidden gems, including some of its most beautiful waterfalls. Los Chorros Waterfalls, just outside the town of Grecia, is a wonderful park that is mostly overlooked by tourists. The park has two waterfalls for you to enjoy, which are set in a gorge surrounded by greenery. After paying the attendant ($4 to park, $6 for the entrance fee), it’s a short 15-minute hike along a nature trail to the ﬁrst waterfall. You’ll ﬁnd an overlook for pictures. If you’re more adventurous, there’s a cable to help ford the river. Once across, take a dip in the waist-deep, chilly pool at the foot of the gushing waterfall. To get to Los Chorros from Grecia, follow Route 118 to Tacares, then turn north onto 722 and follow the signs. Catarata del Toro is another beauty. Standing 300 feet high and hidden away in the forest between two volcanoes (the water itself crashes into an extinct crater), it’s one of Costa Rica’s tallest waterfalls. The 250-acre park is a private reserve that includes hiking paths, overlooks, rappelling areas, and gardens buzzing with hummingbirds. The drive is a spectacular hour-long climb through the mist-shrouded mountains north of the town of Sarchí. The entrance fee is $10. La Paz Waterfall Gardens has ﬁve waterfalls in total, which you can reach by paved pathways. Viewing platforms make these gardens the perfect spot for jungle waterfall photos, including photos under one of the falls itself. There are also plenty of animals, including jaguars and pumas. Or have a toucan sit on your arm in the aviary. The enormous butterﬂy garden, with over 4,000 butterﬂies in vivid hues of yellow, red, orange, and aqua blue, is also worth a visit. The park entry fee is $40 for adults. From San José, take Route 1 to the Alajuela exit, and follow this road straight for 12 miles. Follow signs to the town of Poasito. Take a right at the intersection for Heredia/Vara Blanca/Sarapiquí, then a left at the gas station at Vara Blanca. Follow this road for three miles, and the gardens are on your left.